FEI is a leading company in electron and ion optics and their integration into high-performance research and industrial instruments. The company was founded in 1971 as a provider of ion and electron sources. Then it merged with Philips Electron Optics B.V. in 1971 and with Micrion Corp. in 1999 to deliver electron and ion-beam microscopes. FEI Company manufactures transmission and scanning electron microscopes, focused ion beam systems, DualBeam systems incorporating both electron and ion columns, and microscopy oriented software. The flagship products are Titan and Verios electron microscopes, and Helios NanoLab DualBeam systems. These instruments are capable of imaging with down to sub-Ångström resolution and nanoscale modification of materials and structures. Besides fundamental research in materials and life sciences, FEI instruments are found across many industries. In particular the FEI ASPEX product group provides SEM microscopes for automated control of product quality and purity. They perfectly fit challenges in automotive, aviation, pharmaceutical, mining and steel industries, and forensic science. Bruker Corp. is among the world’s largest manufacturers of research and measurement equipment for academics and industry. The company was established in 1960 in Karlsruhe as Bruker-Physik AG and initially delivered high-resolution nuclear magnetic resonance systems. Within the next years it had extensively broadened product portfolio and rapidly expanded into global markets. Currently Bruker Corp. has over 6000 employees and provides a broad spectrum of products for chemical analysis and phase identification of materials, magnetic resonance imaging of live tissues, and topography analysis of surfaces. 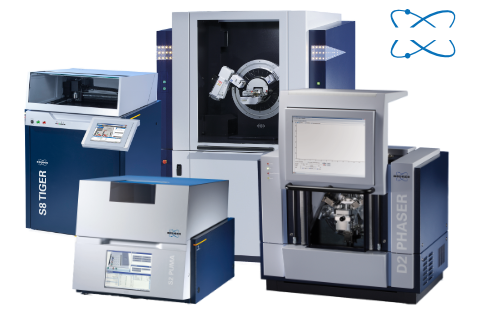 Labsoft offers market-leading surface characterization instruments by Bruker Corp. 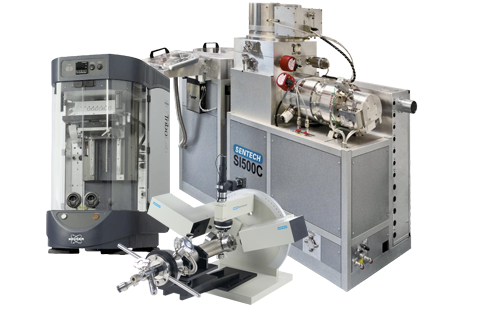 These include MultiMode and Dimension Icon/Fastscan AFM microscopes, and Contour and Dektak 3D surface profilers. Bruker products are found in academic research laboratories and in industrial quality control facilities. Leica Microsystems GmbH is widely known and esteemed maker of light microscopes and sample preparation instruments for light and electron microscopies. It emerged in 1997 from Ernst Leitz GmbH; the latter was established in 1869. The company has been dedicated to the statement „with the user, for the user”, which has given rise to automated, user-friendly and reliable instruments. In particular, no competitor can match the automation of Leica sample preparation instruments. Leica Microsystems offers stereo, digital, confocal, and polarization microscopes and a full range of sample preparation instruments including (cryo)ultramicrotomes, trimming devices, ion beam milling and etching systems, coaters, high-pressure freezers, tissue processors and critical-point dryers. These products are found in research facilities related to materials and life sciences and in industrial laboratories. SENTECH Instruments GmbH develops and manufactures superior instruments for thin layer optical characterization, systems for plasma processing and reactors for thin layer deposition. This German company was established in 1990 and ever since has extensively broadened its product portfolio and improved capabilities of its instruments. SENTECH offers laser and spectroscopic ellipsometers, reflectometers, reactive-ion surface etching (RIE) systems, CVD and ALD reactors. The flagship products are SE DUV 850 wide-range (190-3500 nm) ellipsometer, RIE SI 500 and PECVD SI 500D reactors with proprietary PTSA inductively coupled plasma source, and SI ALD reactor for deposition of oxide, nitride and metallic layers. SENTECH products are dedicated for research and industrial facilities, at the stage of both pilot and batch production. EDAX International Inc. is a global leader in energy dispersive X-ray microanalysis, electron backscatter diffraction and micro X-ray fluorescence systems. It was founded in 1962 under the name Nuclear Diodes and ever since has been at the cutting edge of EDS and EBSD challenges. In 2001 the company was acquired by AMETEK Inc. EDAX developed the first commercially available EDS system for electron microscopy already in 1969 and the first fully automated, digital EBSD system in 1994, which proves its great experience and know-how in X-ray and electron detection fields. 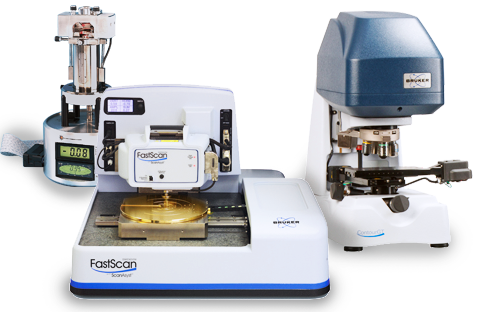 The company currently offers micro-XRF analyzers, EDS detectors for SEM and TEM microscopes, WDS and EBSD detectors for SEM microscopes, and thorough software for standard and standardless quantitative analysis and for phase analysis. The flagship products are Tridient system for EDS, WDS and EBSD analyses and TEAM software. Veeco is an esteemed maker and supplier of cutting-edge instruments for technological processes related to formation, modification and etching of thin layers. It was founded in 1945 in New York and its name stand for Vacuum Electronics Engineering Company. The current strategy to become a leading semiconductor and data storage equipment provider and to focus on advanced innovative surface technologies was established in 1990. Veeco offers a full range of high-performance MBE, MOCVD, PVD and IBD reactors, including those dedicated for manufacturers of highly specialized products like solar cells, high-brightness luminescence diodes, hard drives, semiconductor devices, MEMS, and wireless communications devices. The company is entirely committed to help customers build superior products. Physical Electronics (PHI) is a recognized manufacturer of high-performance AES, XPS/ESCA, and SIMS spectrometers for surface chemistry. It was founded in 1969 as a spin-off at the University of Minnesota. From early days a relationship was established with ULVAC Corporation, which led to the formation of a joint-venture ULVAC-PHI in 1982. In 2003 ULVAC-PHI purchased Physical Electronics bringing both companies under one umbrella. The PHI instruments are used for research and development of advanced materials in a number of high-technology fields including: nanotechnology, microelectronics, storage media, bio-medical, and basic materials such as metals, polymers, and coatings. The company commitment is to provide customers with tools to solve challenging problems so that they can develop new and better materials and products. Kleindiek Nanotechnik GmbH is a widely known supplier of precision engineering devices for positioning and manipulation with micro- and nanometric precision. This German company was founded in 1998 and has already sold over 1600 instruments and devices. Kleindiek develops high-precision micromanipulators and five-axis substages compatible with SEM and DualBeam microscopes offering maximum maneuverability and high resolution while maintaining small outer dimensions. Main applications include in-situ electrical probing, FIB lamella transfer from a sample to a grid, manipulation of nanoobjects, gas and fluid injection into sample microregions and nanoindentation. Besides portfolio products, Kleindiek provides solutions tailored to customer needs. COXEM Co. Ltd. is a manufacturer of superior table-top scanning electron microscopes (SEM) including software and accessories. 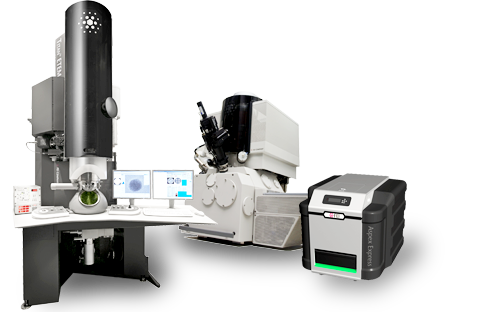 The flagship product is 30-keV EX-30AX SEM microscope with tungsten filament, SE, BSE and nitrogen-free EDS detectors providing superb imaging and analytical capabilities. COXEM Ltd. was established in 2007 as a spin-off company from Korea Research Institute of Standards and Science (KRISS). The COXEM customers include semiconductor industry (e.g. Samsung) and academics. The company has been honored with several rewards from government, local and scientific authorities. SPI Supplies was established in a1975 and has been a division of 5-year older Structure Probe Inc. SPI Supplies is widely known and leading manufacturer and distributor of sample preparation equipment, spare items and consumable materials for a daily, routine operation of SEM, TEM, FIB, DualBeam, LM and SPM microscopes. The company offers also a wide range of reference samples for magnification and camera calibration and microscope performance testing, as well as standard kits for EDS and WDS spectroscopy. Furthermore, there is available a full range of devices, instruments, accessories, materials and chemicals related to preparation, cleaning, fastening and storage of samples. Due to its long-term experience, SPI Supplies supports customers in choosing the most appropriate materials and techniques. HWL Scientific Instruments GmbH is a German company which specializes in consultancy on isolation of mechanical vibrations and customized solutions to mitigate vibration consequences. It is the exclusive distributor of Table Stable i.e. the manufacturer of active systems for vibration isolation, which was established in 1987 as JRS Scientific Instruments. HWL offers several small table-top and larger modular systems which dampen the vibrations actively. Those systems have various dimensions and support different maximal loads. 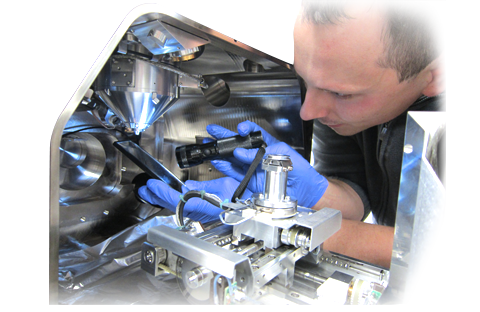 Table-top systems are designed mostly for AFM and LM microscopes and profilers, whilst modular ones accept heavier instruments like SEM and DualBeam microscopes. SIOS Meßtechnik GmbH develops and manufactures high-precision instruments to measure lengths, displacements, angles and oscillation motion characteristics. It was established in 1991. The measurement process is contactless and bases on laser interferometry principle. The use of proprietary He-Ne lasers with stabilized emission secures 0.1 nm measurement resolution. The measured quantities can be used to calculate mass, force, velocity and others. The company offers independent miniature vibrometers and interferometers to be used in user defined environments. There are also available nanovibration analyzers, nanopositioning systems and stabilized He-Ne lasers. Cryometal s.r.o. is a well-known manufacturer of liquid nitrogen containers and accessories for LN2 transfer and application. It was established in 1997 after the privatization of state-owned enterprise in Ricany near Prague, while in 2001 it was acquired by Katres spol. s.r.o. group. Cryometal offers low evaporation rate LN2 containers with various capacities matched to most common applications, including the ones dedicated for sample storing in LN2. There are also available liquid nitrogen accessories like withdrawal devices, small 4-l containers, canisters, pots, vial holders, low-level sensors and trolleys. The company supports customized containers and tools for cooling machinery in accordance with customer needs. International Center for Diffraction Data (ICDD) is a non-profit scientific organization dedicated to collecting, editing, publishing, and distributing powder diffraction data as electronic databases for the identification of crystalline materials. The organization was established in 1941 under the name Joint Committee for Chemical Analysis by Powder Diffraction Methods, then renamed for Joint Committee on Powder Diffraction Standards (JCPDS), and from 1978 as ICDD. Currently ICDD offers two powder diffraction databases PDF-2 and PDF-4+ with about 250000 and 330000 records, respectively. The latter can be additionally extended with the database of minerals and organic materials. The databases are indispensable tools for manual and automated phase identification via XRD, EBSD and diffraction techniques available in TEM microscopy.